We are a family owned business that takes pride in what we do. We have been maintaining residential and commercial systems since 1945, You'll see our trucks on the road at all times of the day either pumping tanks, servicing sewer treatment plants or doing service calls. Our reputation is unsurpassed for service and knowledge in the septic field. 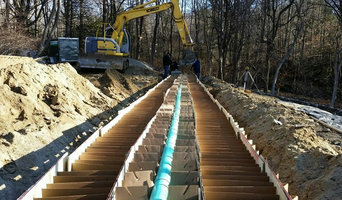 Mahopac Septic installs septic systems to county and state codes and we supply complete maintenance from regular scheduled or one-time tank pumping. Family owned and operated, Thomas M. Adams & Sons has been in business for 40 years, offering the highest expertise and know-how on septic systems and oil tank removal to the greater Newtown area. We continually strive to provide the best in customer service coupled with the most knowledgeable service technicians in the community. Thomas M. Adams & Sons are well known and respected in the community and have been members of Newtown Chamber of Commerce and the Better Business Bureau for over 20 years. Welcome to All County Sewer & Drain Service. Located in Chatham, New Jersey, we have been providing outstanding services for more than 40 years. You can depend on our family owned and operated business as we deliver the same consistent drain cleaning service and affordable prices you've come to expect. In business for more than 20 years, VALLEY PLUMBING & SEPTIC is a licensed and bonded plumbing company providing prompt services throughout Hudson Valley. We treat every customer like a friend. You are not just another number to us. Our friendly team has the knowledge needed to ensure your plumbing or septic project is completed right. 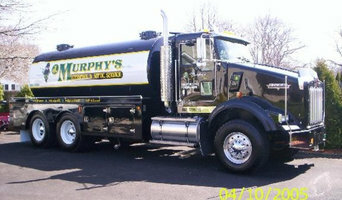 We previously formed septic departments for other companies before starting our own business.